In a new report on nanomaterials and waste, the OECD has expressed concern that too little is being done to control the rapidly expanding presence of nanomaterials in the waste stream. The dramatic increase in the number of products containing nanomaterials has resulted in a significant increase in the quantities of nanomaterials entering the waste system. Waste treatment methods and facilities are not generally able to remove these nanomaterials and they are ending up in our water and soil. Many of these nanomaterials, such as titanium dioxide, are known to be toxic to aquatic organisms. Some, such as nanosilver, which kills microbes, can accumulate in soil. Others can be taken up by food plants and enter the food chain. The OECD report sees the use of wastewater sludge on agricultural lands as the most alarming issue because of likely effects on soil and plant health. This is an urgent issue and both State and Federal Governments need to respond. In Australia, where nanomaterials are virtually unregulated, nanomaterials can now be found in food, cosmetics, paints, toothpaste, tennis rackets, baby bottles, appliances…in fact, in almost any consumer product. We don’t know which nanomaterials are being used in what products, what quantities are entering the waste stream, where those materials are ending up – or what impact they are already having on the environment and human health. While far too little research has been done on the environmental impacts of nanomaterials, we know enough regarding the risks associated with nanomaterials to be able to say that allowing the unregulated and unrestricted release of nanomaterials into the environment needs to stop. The first step is a mandatory register of nanomaterials. We also need an immediate investigation by the Federal Department of the Environment to determine the scale of the pollution, the impacts to date and the regulations and technologies that are necessary to protect the environment from adverse impacts. Since 2006 the seven municipalities of the lower Međimurje (The City of Prelog and the municipalities of Kotoriba, Donja Dubrava, Donji Vidovec, Sveta Marija, Goričan and Donji Kraljevec) have been developing a joint waste management system. Organised by the municipally owned company Pre-Kom, waste has been separately collected in the region since 2007. With the region currently ranked top in terms of separate collection within Croatia, it seemed the next logical step was the creation of a society without waste, or the implementation of a ‘Zero Waste Strategy’. The financial budget unveiled on Wednesday revealed that the latest estimates for the new Central Kowloon route highway project stand at HK$43.7 billion. The sum is 3.4 times more than original the amount tabled in 2002. The infrastructure project is set to commence during the next financial year. 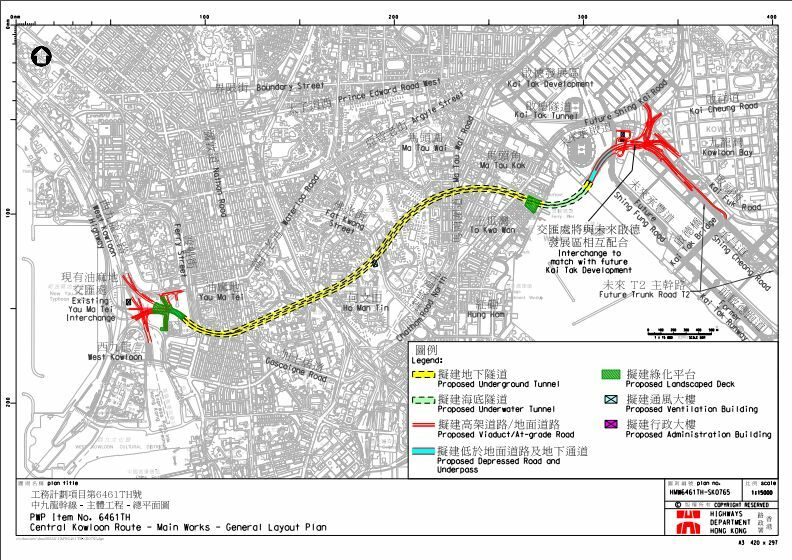 According to the Highways Department website, the highway will extend for 4.7km from Yau Ma Tei through to the Kai Tak Development and Kowloon Bay. It is expected to relieve traffic congestion in Central Kowloon and includes a 3.9km long tunnel. It is predicted that the construction of the highway will take seven years and could be online by 2023. Proposed Central Kowloon route. Photo: GovHK. The cost of the project was adjusted in 2002, when it was proposed that the highway could carry three lanes instead of two. 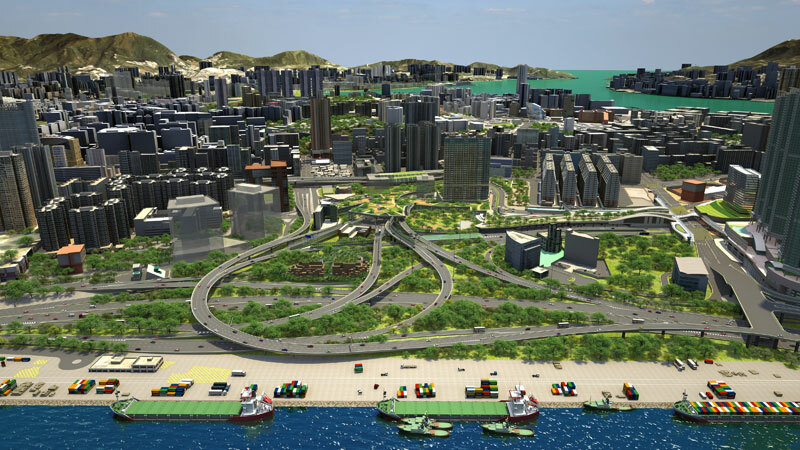 It was then predicted that the project will cost HK$10 billion. Now, at HK$43.7 billion, each kilometre averages HK$9.2 billion, much higher than the high-speed rail’s average cost at HK$3.2 billion per kilometre, Ming Pao reported. The Executive Council authorised the project last month, but no price was stated in the gazette, RTHK reported. Proposed Central Kowloon route. Photo: hyd.gov.hk. The Professional Commons convenor Albert Lai Kwong-tak said that it was unreasonable for the project to have a threefold increase in cost and said the government could be overestimating the cost of the project due to pressure surrounding over expenditure in projects in recent years. “It’s a self-defence mechanism – better to overestimate than underestimate,” he said. The Highways Department has yet to respond to media inquiries by RTHK and Ming Pao. Financial Secretary John Tsang Chun-wah may be “distressed and angry” at recent evidence of social conflict, but his highly political budget speech did not suggest an understanding of the “why”. That surely includes an unrepresentative government comprised of lifetime bureaucrats turned politicians who find it hard to think outside their own little 1970s-designed boxes. Tsang has been in the job for nine years, but he has yet to make any progress in resolving what the government itself has long admitted is a serious fiscal flaw – the dependence on land price inflation and volatile stamp duty revenue. Broadening the tax base has long been a stated goal. Yet, again, he has made the problem worse by reducing the reach of salaries tax, and by a rates waiver. Salaries tax now accounts for a pitiful 12 per cent of revenue as the government becomes ever more reliant on less stable sources, including profits tax (28 per cent) – which is now vulnerable to foreign or mainland crackdowns on tax avoidance through transfer pricing. For sure, the cuts are supposed to be temporary, but he will have a hard time reversing the salaries tax concession next year, particularly if the economy continues to face stiff headwinds. As it is, he says the local economy is “laden with risks “ for the coming year. The claim that his tax concessions will boost the economy by 1 per cent hides the fact that the government has been a contractionary force on the economy for the past year (and beyond) through its accumulation of reserves. If Tsang’s budget forecasts are correct, the government will at best be neutral. He also vastly overstates the impact that a slew of little measures to help tourism, small and medium-sized enterprises, IT and robotics industry development and the like can have in an open economy. Nor should government be involved in promoting events like the Rugby Sevens tournament – which is always sold out anyway! Government exists to facilitate, not subsidise. The surplus for 2015/16 was actually bigger than it first appears, as Tsang continued the policy of squirrelling away yet more revenue into special, hard-to-reach reserve funds. For the second year running, almost all the income from investment of the reserves has been credited not, as was and should be the case, to operating revenue but transferred to the Housing Reserve. This kind of manipulation of the accounts both to conceal surpluses and make them harder to access in future is, Tsang should consider, one reason for distrust of government. As it is, the Future Fund was created with the express purpose of not being touchable for at least 10 years and now comprises HK$219 billion of the fiscal reserves. The fund is supposed to invest longer term, but no details of its performance are available. Meanwhile, the return on the other reserves are estimated at a miserable 3.3 per cent for 2016 and 2.6 per cent to 3.5 per cent average for 2017 to 2020 – barely above the projected rate of consumer price inflation (2.5 per cent). Clearly these funds would be better invested if distributed to the public for their pension plans. Tsang again misleads by stating that the fiscal reserves “are all we have at our disposal”, conveniently forgetting the HK$600 billion retained profits of the Monetary Authority, which is an arm of government and does not need these for exchange rate management. As for the statement that “our fiscal reserves are the mainstay of our economy”, this can only be described as arrogant nonsense. They have become a fetish designed to limit spending on social needs. Meanwhile, lavish spending on capital projects with little or no financial or economic return steams ahead to satisfy “one country” or local vested-interest demands. Tsang peppered his speech with references to the increasing burdens of an ageing society. Future belt-tightening was called for to avoid resulting deficits. Yet Tsang’s own forecasts for the coming five years show capital spending rising by 50 per cent, to HK$132 billion, while operating spending rises just 25 per cent. So, clearly, we are going to have to pay for more mega projects with minimal returns while health, welfare and education are squeezed. Tsang did not go into specifics other than mention a desalination plant, a bizarre project for which no economic case has been made and for which there is surely no political justification. The budget does contain a number of small measures to help the elderly but these are minor compared with tax cuts. And with all the emphasis on an ageing society, why not some real effort to raise the extraordinarily low fertility level by reducing the opportunity costs of raising children? Tsang’s idea of investing in the future is clearly one of pouring concrete, not investing in a new generation through childcare facilities, job protection for nursing mothers and other relatively low-cost ways of addressing this aspect of the ageing problem. The government talks a lot about the problem of income disparities. These are clearly most visible among the elderly and young, low-income families. Yet this budget will, if anything, make matters worse. Nor will any amount of hand-wringing over riots, or budget crumbs for SMEs, counter the widespread public view that big business, whether property, construction or retailing, is always favoured by government policies. Hong Kong’s subtropical climate and unique position at the mouth of the Pearl River mean the city is blessed with an amazing diversity of plant and animal life. The need to protect the diversity of life on earth is enshrined in the UN Convention on Biological Diversity, which also extends to Hong Kong. In his 2013 policy address, Chief Executive Leung Chun-ying committed to develop a biodiversity strategy and action plan  to help implement the convention locally. Unusually for Hong Kong, a participatory approach was embraced, with academics, environmental NGOs, professionals and other stakeholders invited to develop a set of recommendations for Hong Kong’s first biodiversity strategy for 2016-2020. After more than a year of intense work by more than 100 experts and stakeholders, over 400 recommendations have been produced and grouped into 33 draft key actions. They are aimed at strengthening conservation across the territory, to find a better balance between urban development and environmental protection. A public consultation is being held until April 7 , after which the government will produce a final action plan. However, most of the 400 recommendations have been omitted from the consultation document, and most of the 33 draft key actions have not been directly incorporated. Instead, there are 25 pages summarising previous or ongoing initiatives to conserve biodiversity, and only 17 pages on an action plan. A closer inspection of the consultation document reveals a mixture of vague “possible actions” and restating of existing government commitments, such as implementing ongoing species action plans even though they are falling short – for example, in relation to the decline of the Chinese white dolphin. This is in stark contrast to the call by the UN convention for an effective and practical action plan. There is also a danger that the government will be tempted to take the easy route in formulating its action plan, by prioritising research and awareness-raising, with less emphasis on new direct conservation action. This takes responsibility away from government – for example, research can be undertaken by academics and non-governmental organisations, whereas only the government can lead on specific policies. Also, research, while an essential component of conservation, won’t directly result in an improvement in our natural environment. Such an approach is also contrary to the UN convention’s “precautionary principle”, which states that “where there is a threat of significant reduction or loss of biological diversity, then lack of full scientific certainty should not be used as a reason for postponing measures to avoid or minimise such a threat”. More worryingly, the consultation document emphasises enhancing existing conservation measures, implying that the government has no interest in introducing new measures to protect our natural heritage. So, what more should the action plan contain? The answers lie within those 400 specific recommendations. For example, less than 2 per cent of our seas now receive some form of protection and are under increasing threat from reclamation, contaminated mud deposits, pollution and unsustainable fisheries. Governments around the world have identified marine conservation as lagging behind, and have adopted a specific target to ensure at least 10 per cent of the marine environment should be protected globally by 2020. Such a target could easily be achieved for Hong Kong. Another priority is more coordinated preservation of the Inner Deep Bay wetlands, which are of international importance to the tens of thousands of migratory water birds. A growing number of wetland reserves are being created as mitigation of urban development around Deep Bay. A statutory Wetland Trust needs to be set up, to ensure their long-term conservation, and a holistic management plan developed. Effective species action plans are urgently needed to halt and reverse the decline of species such as the Chinese white dolphin. A comprehensive list of threatened species should be produced. It is also important to address Hong Kong’s impact on global biodiversity, which is considerable due to the unsustainable consumption of shark fin and Bluefin tuna. There is no reason why the government cannot adopt these and other measures into the biodiversity strategy while continuing to develop the city; Hong Kong has a history of doing just that. For example, we can draw inspiration from the previous success in turning a treeless landscape into a recognised biodiversity hot spot. Accounts from visitors arriving in Hong Kong in the 1800s described the place as “barren” and “sterile”. During the Japanese occupation in the second world war, nearly all the plantations and regenerated forests were cut down for firewood. Since then, a dedicated effort involving decades of reforestation and protection and allowing natural regeneration and recolonisation has resulted in a flourishing landscape, with over 1,900 species of flowering plants (over 5 per cent of China’s total) and over 500 bird species recorded (some 40 per cent of China’s total). This demonstrates that, when the government pursues dedicated conservation efforts by working with nature, biodiversity decline can be reversed. Previous governments have left a legacy of a world-class country park system, afforested our barren hillsides and protected an internationally important wetland. What legacy will the current government leave for the plants, animals and 7 million citizens that inhabit Hong Kong? Q: What do we know about the links between air pollution and dementia? Q: So are we at smoking-causes-lung-cancer levels of evidence? Q: And what do we know about how pollution might contribute to dementia? Q: You’ve suggested we’re past the tipping point at which this theory is going to be wholly refuted, but you’ve also cited overly cautious scientists who are wary of overstating the evidence. Why do you think this hesitance exists? Q: I’m interested in what you just said about air pollution being something that everyone is exposed to. There are obviously inherent justice questions at stake here given the inequities of air pollution exposure. How does environmental justice enter the conversation for you? Q: What if I buy your story about air pollution and dementia but can’t move out of my heavily polluted neighborhood? What are my options? Q: I feel like there’s a certain paradox here when you mention a place like Beijing. We’re building these factories in the name of progress, but for whom? If people’s brains are atrophying because of exposure to air pollution, there’s a pretty abysmal vicious circle going on. Q: Something like climate change is already so slow and abstract. Something like air quality isn’t always something you can see. When you combine these kinds of things with mental health or brain health — which are already siloed off from the rest of the health spectrum — there’s a lot of abstraction going on in one place. That must make these effects particularly difficult to communicate. Does this ever leave you frustrated?